The perfect Mod dress for Winter! The Top 'n' Tail dress from Traffic People is super cute in a comfy to wear soft viscose (faux silk) mix fabric with a retro red and gold geometric print to the skirt and collar. 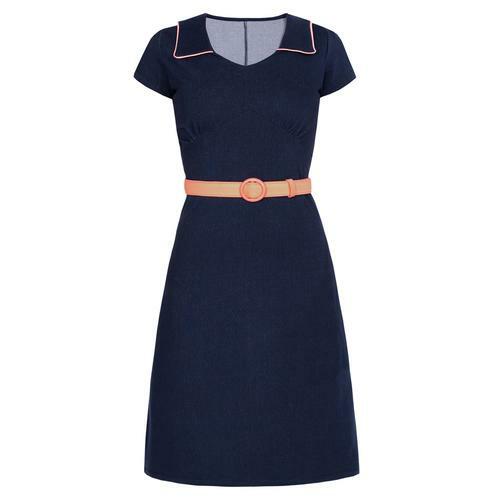 Mod style shirt collar, long sleeve and a flattering 60s style A-line skirt. Perfect to pair with coloured tights and retro boots for a look which will see you through Autumn and Winter and beyond! 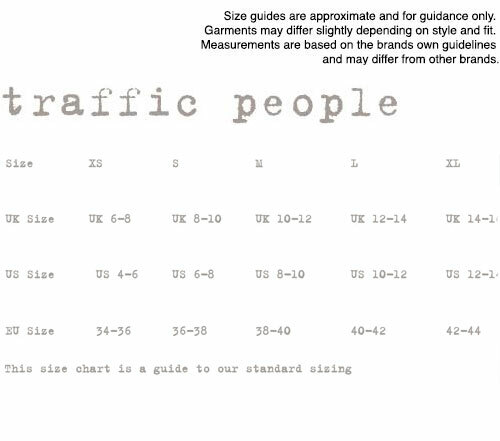 - Traffic People Top 'n' Tail two tone mod dress. 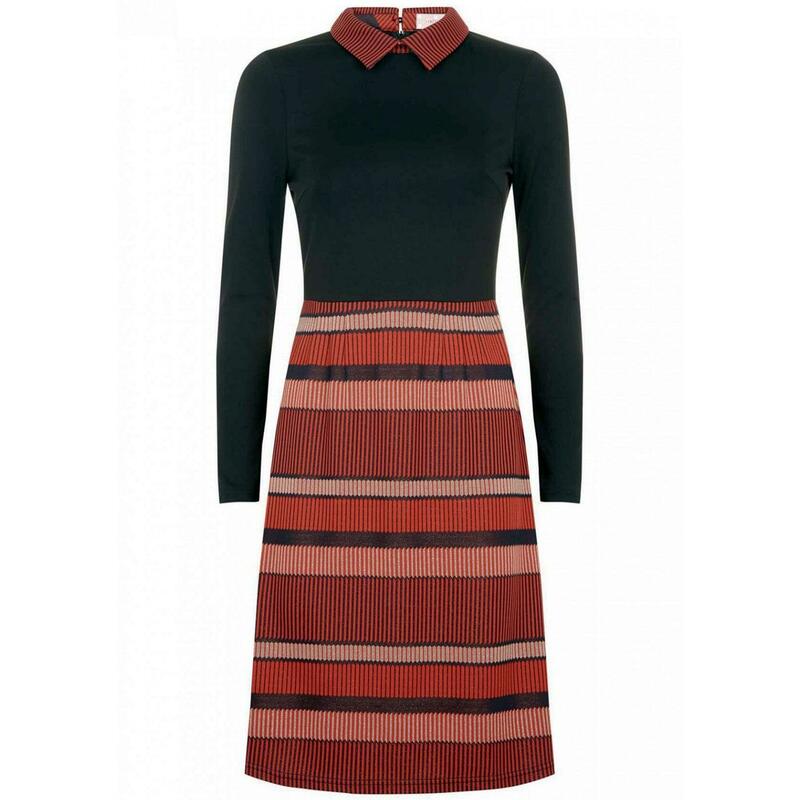 - Black top with red and gold stripe and geometric print skirt and collar. 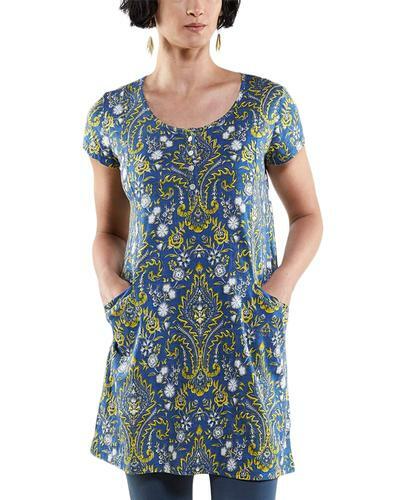 Composition: 35% Viscose, 30% Nylon, 20% Polyester, 15% Metallic.